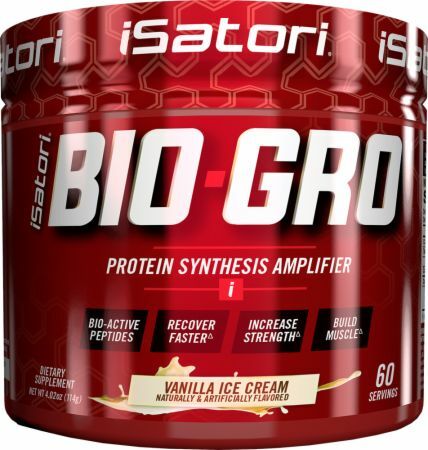 Bio-Gro by iSatori at Bodybuilding.com - Best Prices on Bio-Gro! 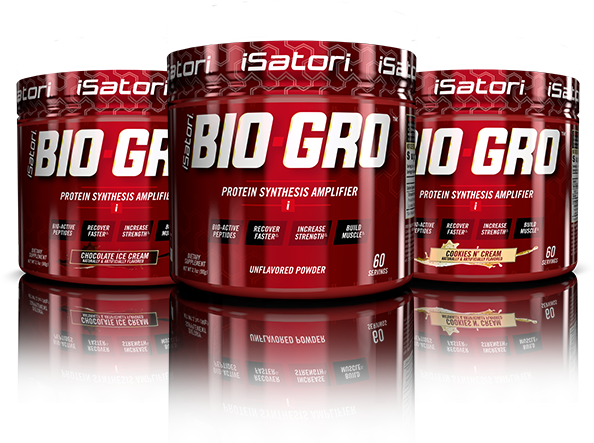 For a limited time, buy 1 Bio-Gro, 120 Servings & get 1 50% Off! BIO-GRO is instantized for easy mixing, sugar-free, gluten-free and stimulant-free and is perfect to add to your muscle-building or weight-loss program (when you are trying to maintain muscle). BIO-GRO is truly the next generation in performance-based supplements, and can be used by men and women alike. 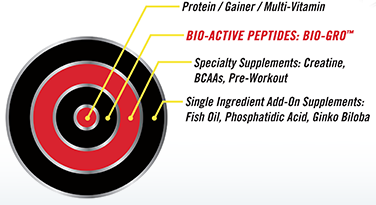 The engineered Bio-Active Peptides (or BAP's) found only in BIO-GRO use a world-leading manufacturing method, whereby cleaved protein fragments are extracted from the highest grade bovine colostrum, which are then centrifuged and micro-concentrated to form a low molecular weight, highly bioavailable powder, yielding an exact concentration of bioactive: Proline-Rich Peptides (PRPs), Growth Factors (i.e. Fibroblast-GF), Immunoglobulins and Lactoferrin. Why should I use BIO-GRO? 2. More convenient. Unlike bulky tablets and sugary powders, BIO-GRO is an unflavored powder in its raw form that is virtually tasteless. Now instantized, BIO-GRO mixes well in liquids like water or your protein shake as well as foods like oatmeal and yogurt. It is truly an easy-to-use ergogenic aid. 3. More scientific research. There are numerous published clinical abstracts and studies that back up the demonstrated benefits of the primary ingredient in BIO-GRO. And more importantly, these studies were conducted mostly on well-trained athletes, participants who traditionally show less positive effects compared to untrained individuals. 4. More expert opinions. There hasn't been a supplement we can think of, to date, that has had more PhD-sports nutrition experts who independently support and validate the science and effects behind the primary ingredient in BIO-GRO. Including such highly reputable names as Darryn Willoughby, PhD; Jeffrey Stout, PhD; Jay Hoffman, PhD; and David Sandler, ABD-PhD. 5. Highest quality. Because iSatori controls the domestic source of our ingredient and has engineered the first micro-concentrated, low molecular weight Bio-Active Peptides found in BIO-GRO, you can trust and count on every batch being of the highest quality and consistency; and what's more, each batch is GRAS certified, HALAL, Kosher, and produced right here in the USA. BIO-GRO should be used by anyone who is interested in developing or maintaining more lean body mass and enhancing recovery from exercise or sport. BIO-GRO is also recommended for those looking to maintain muscle while on a calorie-restricted diet. * This would include bodybuilders, fitness, figure, or physique competitors; and athletes competing in any sport at all levels. 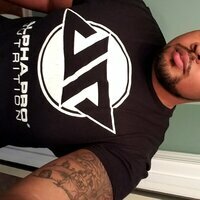 By clicking the button above, you agree to entering the Bodybuilding.com Reviews section. Products in the Store are not intended to diagnose, treat, cure, or prevent any disease. I’ve been using this product for about a month now, and to be completely honest I haven’t seen any changes in strength,pumps,or muscle gains. Just another supplement that doesn’t do what it’s supposed to do. The only change I seen in the last month is my bank account was $40 lower. As for flavor taste... the chocolate ice cream tastes more like chocolate cardboard. I will no longer use this product or recommend anyone else purchasing and trying this product. Very disappointed in isatori. Have been using non-stop for about two years now. 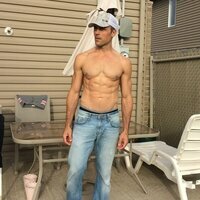 At 36 years old and someone who is right in-between an ectomorph and mesomorph, I'm confident in saying this supplement has helped me show muscular growth and definition I had never seen in the past. I had never tried a product like BIO GRO before. 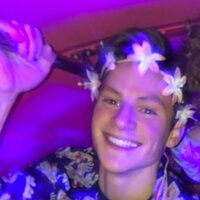 I took 2 scoops twice a day, as recommended, and tested it for 30 days. I began noticing a difference in about a week. I have been pushing really hard on my big 3 lifts, and was experiencing a considerable amount of fatigue and soreness. After using BIO GRO, my recovery and soreness were greatly improved. I am currently dropping weight through diet, so I didn't experience any mass gains, but compared to my last cut, I am not dropping strength as much as the previous one. Overall, very happy with BIO GRO. I noticed strength and gains by my third week. This was nice. I am really enjoying this product. Now I am on my third can. One thing that I noticed that the body is utilizing more protein through my stool. Another thing is scoop is more than 1 serving. Be careful when you use the scoop that it provided to you. it said that one serving size (1 level scoop) should be 1.5g (unflavored). And on the package it also said that body weight between 125lbs - 200lbs should intake 2 scoops (total 3g) each time. But when I weighted 1 level scoop today, I found that 1 level scoop was actually 3g already. Overall the product was good. I feel that Bio_Gro is a very effective product when taken daily in combination with a good workout program and proper nutrition. In my opinion this product is similar to other products designed to be built up in the body over time like creatine. Keep up with it and it does what iSatori claims it will, miss a day or two and its a little reset. 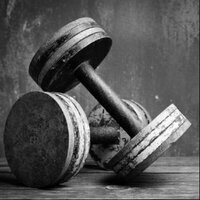 During my trial, I felt an increase of strength in the gym as well as faster recovery between sets and from day to day as well. My flavor of choice was the unflavored version to allow for greater mixing options. I could use it with a protein shake, my preworkout or even in my oats before the gym. Bio-gro mixed well in all applications. Okay, so I saw so much of this product, I figured I'd get a bottle of it and give it a try. For the price, not worth it. After taking it for two months, I saw no noticeable gains other then my normal growth curve. It did, however, help to give me some of the best pumps I've ever felt in the gym. I also woke up and felt that my muscles felt "fuller", as to say, they felt like they were pumped up more. Unfortunately, as with most supplements, if I missed a dosage, and when I ran out, the effects immediately disappeared. So, as a "muscle building" supplement as it claims to do? I give it a 2/10. However, as a pre-workout enhancer? Definitely a 6/10. 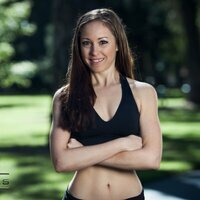 I have been training since 7 years, and I have never seen a products which actually works the way they claim. I would give 10/10 for its results, the only reason why i rated 8 is the price. If they can lower the price a little bit than it would be a boon. Flavours wise, I loved every flavour they have and they had (orange) even unflavoured mixes so well in your protein shake that you wont even come to know. I would strongly recommend a try for a month on this product and notice your progress in strength. I was hoping it would help more then it did and the cost to benefit ratio for the consumer isn't worth the money. I wouldn't pay more then 75 cents per serving (2 scoops), in order to buy it again. It says on the product that 4-8 weeks will help gaining according to tests... In 6 weeks, Nothing changed and i really count my calories so i was eating over 3000 cal a day. It's maybe me or it really doesn't work! I'm 22 now, I've used this when I was 17 once and I saw LOTS of results within 2 tubs of it (taking 1 scoop at a time because I was a broke kid). Now, I've just finished a tub of cookies and cream and am about 1/4 through some chocolate ice cream. I've already gained 4.5 pounds since last month and I really haven't done that much differently as far as eating or training goes. The usual switch ups of exercises and days but the diet and cardio has remained the same. Recovery time is significantly quicker than when I didn't use it, it tastes great mixed with protein of your choice, and it's not even bad just mixed with water, although it does mix better in protein! I really love this supplement, it truly works as long as you do. It's not an overnight thing, minus the recovery speed up, but if you go on biogro for 3 months you'll notice a LOT of strength gains and changes in the mirror! My verdict is that the stuff is pretty legit, I feel like it is pretty beneficial in the recovery category. It really helped me hit my legs hard twice a week but still be able to finish my hikes without much fatigue towards the end like I normally get. This stuff will not do the work for you by itself or give you gains like a cycle obviously would but I think that it should be used as often as creatine(not saying its better than creatine). And its pretty weird but I feel like it gave me a nice pump but not blood pump, more of a visual pump which I loved. I plan on getting a tub to just add into my normal protein/creatine shake. I may try some of the flavors in the future but I am sticking with the unflavored since it did a good job. † Percent Daily Values are based on a 2,000-cal/day diet. ALLERGEN INFORMATION: Contains milk product (colostrum). Directions For BIO-GRO: As a dietary supplement, adults mix 1 serving of Bio-Gro™ twice daily in 3-4 oz of liquid (such as amino acid, pre-workout drink, or protein shake) and thoroughly agitate or blend, or mix in soft food (yogurt, oatmeal, etc). Follow daily useage chart for optimal results and ensure one serving is taken before, during or after your workout. BIO-GRO is available as an unflavored or flavored powder that can be taken anytime with or without food. Warnings: KEEP OUT OF REACH OF CHILDREN. Do not use this product if you are pregnant, nursing, or contemplating pregnancy. If you, or your doctor, have any questions about this product, please call 1-866-688-7679. Not intended for individuals under the age of 18, unless instructed by a doctor. Consult a physician or healthcare provider before using this or any other dietary supplement or starting exercise program. WARNING for California residents only: This product contains substrates known to the State of California to cause cancer and birth defects and other reproductive harm. Exposure to moisture and humidity may cause clumping but will not affect product efficacy. Do not use if packaging has been tampered with. STORE IN A COOL, DRY PLACE. AVOID EXCESSIVE HEAT. 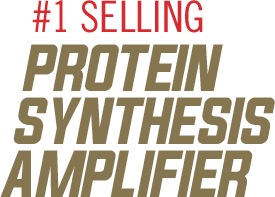 Check out other Build Muscle Products. I certify that I have used this product. I am basing my review on my personal experience and I do not work for a company which makes and/or distributes its own line of supplements. 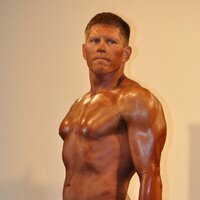 Note: Employees of Bodybuilding.com are exempt. 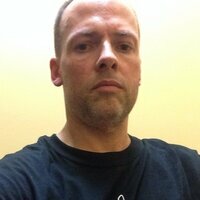 Your rating and review will appear on both your BodySpace profile and on reviews.bodybuilding.com where you also view ratings and reviews of other BodySpace members. 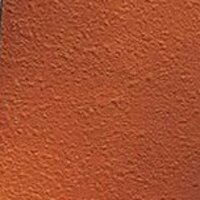 Your review has been posted. Thank you. Due to our Spam filter, your review has not been posted. There was an authentication error. If the problem persists, try logging out and logging back in and trying again.